20 km west of Pau, the village of Monein is the vineyards Jurançon. 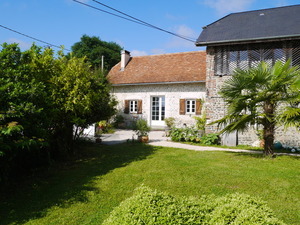 The small house that welcomes you is an old farmhouse located three kilometers from the heart of village.Située in the fields and the woods, the peace here is very appreciated. On the ground floor you reserved a rest area in front of a fireplace and a dining area for breakfast.